Fitbit Finder: designed to help you find your lost Fitbit faster. It listens for Bluetooth signals and displays their strength as you move around. 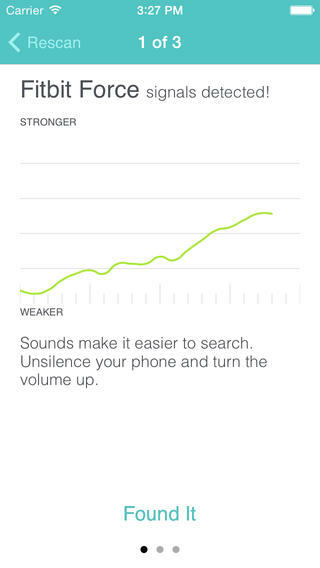 Also provides audio feedback. 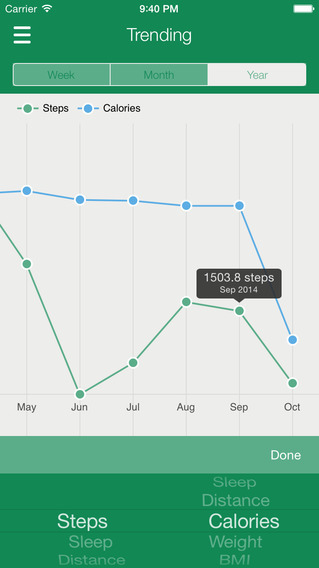 Wristband Manager: this app syncs Fitbit and Jawbone UP data to HealthKit. It visualizes your wristband data and displays your rank. 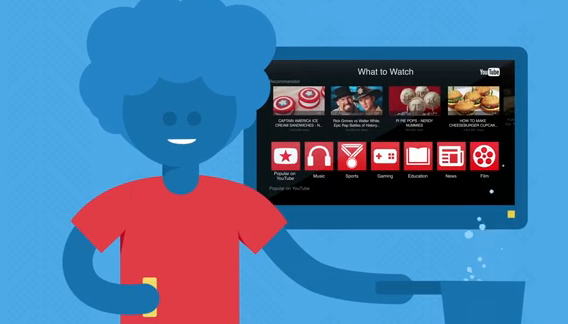 Fitbit: the official app for your Fitbit tracker. 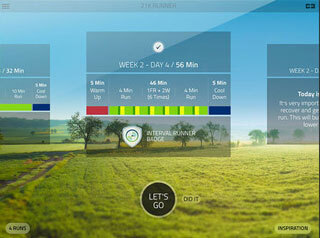 You can use the app to track activity and runs. 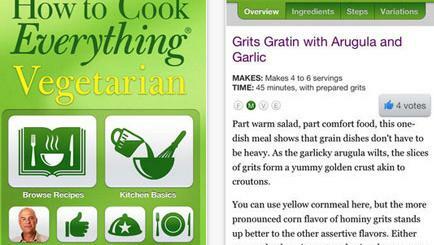 The app also lets you log food, compete with friends, and more. Digifit iCardio: a wonderful workout tracker and planner to monitor your indoor or outdoor training by distance, route, speed, and more. It is compatible with Fitbit, Jawbone Up, Misfit Shine, and Apple Health. 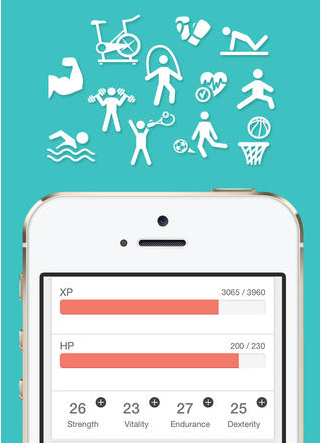 FitRPG: this app transforms your Fitbit data into a character to gamify your Fitbit experience. You can use it to battle your friends and push yourself harder. 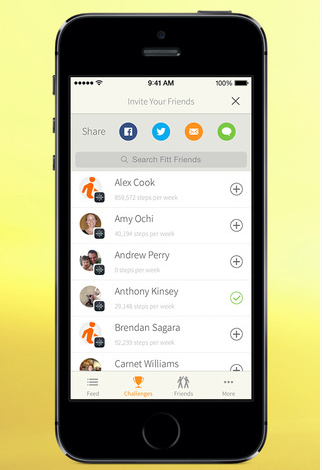 Fitt: another app that brings you and friends together to push one another harder. You can also create your own challenges and invite your friends. 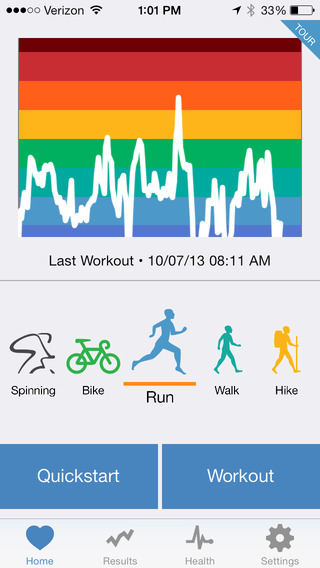 fitline: this app helps you analyze your data to better understand the progress you are making towards your goals. 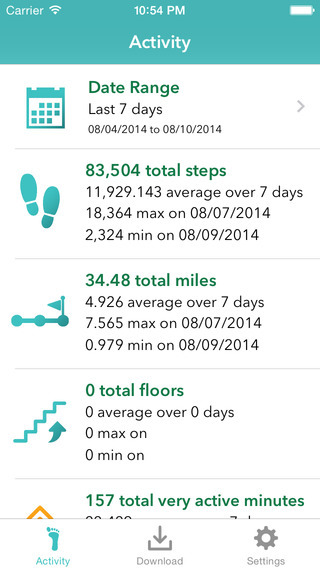 It shows a breakdown of very active, fairly active, lightly active and sedentary minutes. Lets you download your data in CSV format. 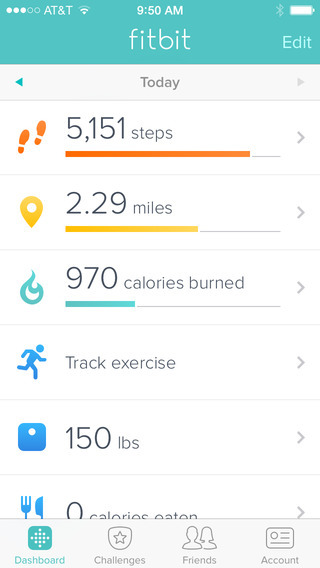 What are your favorite Fitbit apps for iOS?